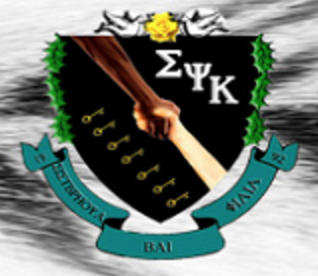 Sigma Psi Kappa is NJIT's only local social sorority founded and based at the New Jersey Institute of Technology in Newark, NJ. We have been on campus since 1992 and have since grown tremendously to the organization you see today. We are fully recognized by the University and currently have maintained this status since 1993. Our sisterhood is built upon the four main pillars of Greek Life: Scholarship, Service, Leadership and Friendship. We also follow another set of principles that guide us to be better sisters and above all, become better people. The philanthropies Sigma Psi Kappa are known for are: the American Heart association, whom we hold semesterly Blood Drives for on campus, our second philanthropy that we dedicate our time to is the kaliedoscope of hope, a new jersey based organization who raise awareness of Ovarian cancer. Aside from our hard work at school and for the community, we are a social organization that pride ourselves on our motto "Sisterhood by Friendship." We love spending time with each other, whether this be on exciting out of state road trips or hanging out on a sisters couch with a bag of popcorn. Sigma Psi Kappa is full of unique, exciting, and different sisters from across the globe who found it each other through sisterhood.